Please Login with your SNS account and vote once a day. Turning one of his dreams into reality, Bo Gum will be debuting as a singer in Japan with a single called『Bloomin’』. The song includes a message about wanting to grow flowers and bloom together as one despite being far away. Two types CDs are available for sale. Bo Gum started on his 2019 Asian tour fan meeting after wrapping up his latest drama Boyfriend/Encounter. 1. In 2016, by the age of 23, Park became the youngest artist to be named Actor of the Year by Gallup Korea. In 2017, he topped Forbes magazine's Korea Power Celebrity list, making him the first ever actor to do so. 2. The "Park Bo-gum Effect", coined by the Korean Business Research Institute, refers to his consistent high brand reputation ranking indicating his effectiveness as an endorser across different demographics. He was voted by marketing executives as Top Celebrity Endorser of 2017. New behind photos of Park Bo Gum is becoming a hot issue. Actor Park Bo Gum is playing in KBS 2TV drama 'Cantabile Tomorrow' recently, and new behind cuts from shooting scenes are becoming a hot issue among many fans and netizens. The photos show Park Bo Gum getting prepared for his shootings with great passion and professionalism. He is showing amazing looks in different outfits, and the photo that shows him reading his scripts while sitting on a bench almost looks like a fashion advertisement photo. Furthermore, the photos that show Park Bo Gum rehearsing his scene is indicating the huge amount of efforts that he is putting into the drama. Meanwhile, 'Cantabile Tomorrow' airs on every Monday and Tuesday at 10 PM. Thanks for opening this thread! Omg this cutie, I hope he will make it big. He CAN acts and VERY handsome. Thank you for opening the thread. Let's make the world know more about him! Another video that show footage from practice and full dress rehearsal of Mambo performance. I am here! Will source around for information on him. thank you for opening this thread! Park Bo Gum wears OVERSIZE COAT(BLUISH GREEN) by TRWA in this episode. Somehow the green look good on him. There are supporting actors who take as much attention as main actors do, and they are none other than Lee Tae Hwan, Park Bo Gum, and Kim Young Gwang. They are not playing as main characters, but they are still showing fabulous works as supporting actors, and they are making significant contributions in making their dramas much better to watch. Lee Tae Hwan is playing in MBC drama 'Pride & Prejudice' as a handsome prosecutor named Kang Soo, and he captured many female viewrs' hearts with his fabulous acting. Kang Soo is a former professional Taekwondo player, and he does his best in everything he does. He is a close friend of Gu Dong Chi (played by Choi Jin Hyuk), and he also becomes a rival to him after falling in love with Baek Jin Hee (playing as Han Yeol Moo). Lee Tae Hwan is 188cm tall, and many fans and viewers are showing explosive reactions for stylish looks that he shows in the drama as well. 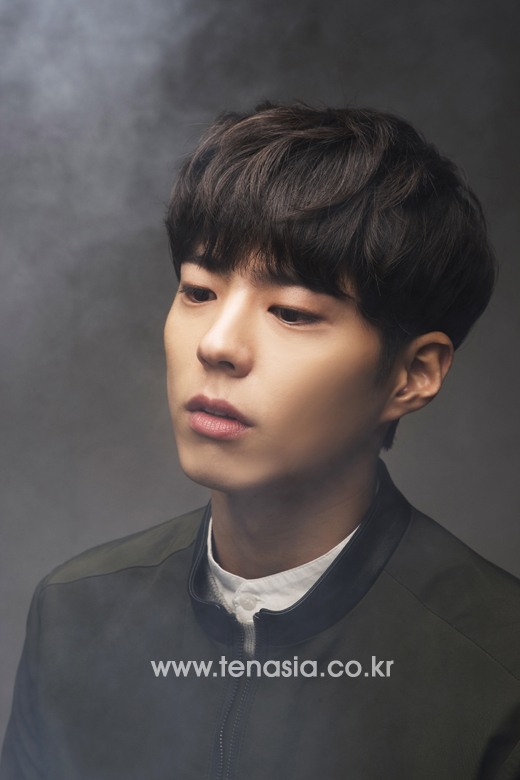 On the other hand, Park Bo Gum, who is playing in KBS 2TV drama 'Cantabile Tomorrow,' is also getting a lot of hot reactions from many viewers for his charming character as well. Park Bo Gum is playing as a guy who always shows a great care for Shim Eun Kyung (playing as Sul Nae Il) every time she goes through difficulties. During the 12th episode of 'Cantabile Tomorrow,' Park Bo Gum hugged Shim Eun Kyung from her back, and many viewers showed particularly great reactions for the scene. Park Bo Gum is portraying a character that is quite different from Cha Yoo Jin (played by Joo Won), and many fans and viewers are showing huge supports for him. While Lee Tae Hwan and Park Bo Gum meet with their audiences on Mondays and Tuesdays, Kim Young Kwang meets his audiences on Wednesdays and Thursdays. Kim Young Gwang is playing in SBS drama 'Pinocchio' as a news reporter named Seo Bum Jo. In the drama, Seo Bum Jo forms a love triangle with Lee Jong Seok for Park Shin Hye, and he is also getting a great number of high compliments for his performance. As Lee Jong Seok was gazing at Park Shin Hye during the 6th episode, Kim Young Gwang said to him, "I saw it all. You should not be doing that to your niece." Recent episodes of 'Pinocchio' showed Kim Young Gwang starting to appeal himself to Park Shin Hye more and more, and many viewers are showing huge anticipation for how their relationship will develop in the upcoming episodes. Many supporting actors have been playing in dramas as villains who try to separate the main characters. However, Lee Tae Hwan, Park Bo Gum, and Kim Young Gwang are rather captivating many viewers with their charms. Many drama fans have been getting fed up with the same love stories, and they are showing big anticipation for how the dramas will develop in the future. 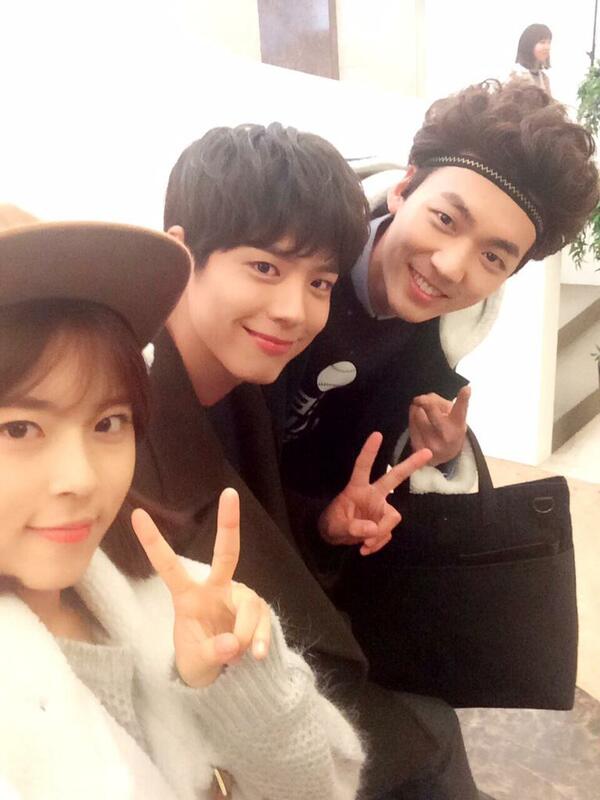 Naeil’s Cantabile released a set of behind-the-scene photos from the last day of filming. On December 2, KBS 2TV’s Naeil’s Cantabile released a set of photos featuring the members of RS orchestra on the last day of filming. The cast and orchestra members who gathered on the drama set on December 1 couldn’t hide their excitement upon seeing each other, although they saw each other’s faces almost everyday. With the final shoot about to begin, they expressed their sadness on soon parting with the staff and cast members, who they’ve become attached to. The last shoot involved the cast members, Joo Won, Shim Eun Kyung, Ko Kyung Pyo, Park Bo Gum, Jang Se Hyun and Min Do Hee, playing Mozart piano concerto no. 21 with the orchestra members. Before the shoot began, the actors and actresses took photos with the orchestra and staff members, who worked hard together for the past several months. Joo Won, Shim Eun Kyung, Ko Kyung Pyo, Park Bo Gum, Min Do Hee and Jang Se Hyun, who became close friends in real life, started playing around with each other, filling the drama site with laugher. Joo Won left the pictures of what will soon become good memories on his cellphone. The last shoot of Naeil’s Cantabile, which was filled with more laughter than ever, will air on December 2. The six cast members who led Naeil’s Cantabile shared their heart touching thoughts on ending the drama. The actors and actresses who have poured their effort s to practice and analyze their characters since the hot summer presented beautiful classical stage and heart touching story of growth until the end. The six cast members, namely Joo Won, Shim Eun Kyung, Ko Kyung Pyo, Park Bo Geom, Min Do Hee and Jang Se Hyun, who have led 16 episodes at the center of the story shared their thoughts on wrapping up the project through the drama production company. Park Bo Geom said, “I was thankful and happy to always be with the friendly director and the cast members through Naeil’s Cantabile. The director, writer and all the staff members, you all worked hard for the past three months.” Park Bo Geom acted out Lee Yoon Hoo, who went from being a genius cellist to a conductor with soft charms. Meanwhile, Naeil’s Cantabile that began on October 13 and filled each episode with beautiful classical music and bright story of growth, ended with the 16th episode on December 2. From Park Bo Gum twitter. He posted the same picture as Dohee before. So for sure they got their own group chat. What is ppogeul? I though it Vogue at first but that's not the terim in hangul. Maybe it refer to hair? Casts and staff in the last day of filming. Looks like everyone were there except SEK.